Meteorologists in Philadelphia are predicting a not-so-usual occurrence this year: SNOW ON CHRISTMAS! In recent memory, there has been snow on the ground totaling 1″ just four times and only once in the new millennium has snow fallen on Christmas day. As anticipation builds, this weekend could be one for the history books as we close out the first decade of the 21st century. With Bing Crosby’s crooning about a white Christmas blasting on the radio and my little slice of snow fakery (oh but how real it looks!) 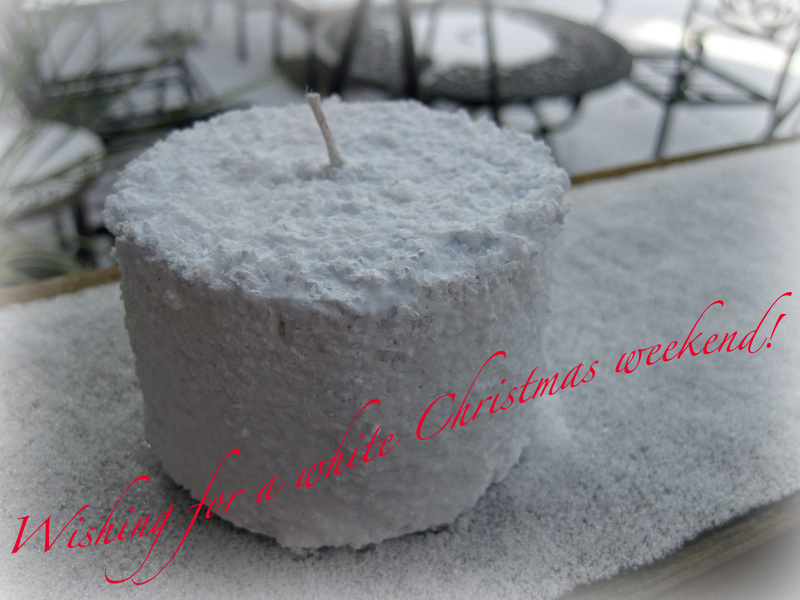 cupped in my hands I round out my holiday wishes with a plea to the weather gods: Let it snow, let it snow, let it snow!